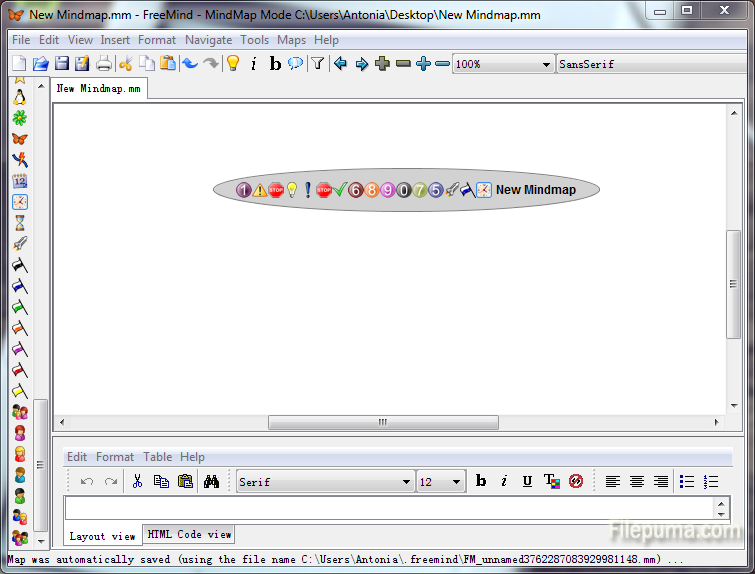 FreeMind is a premier free mind-mapping software written in Java. 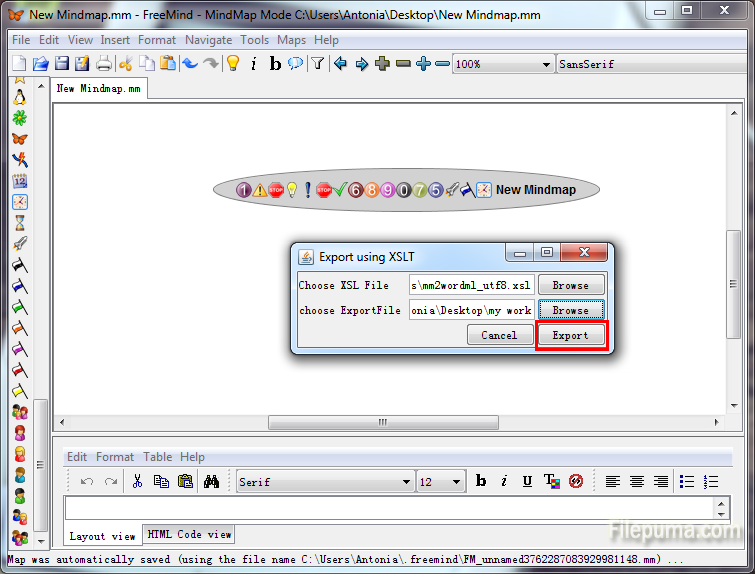 You can export a map created in FreeMind into a Word document using the “Export” tool. This is very useful which can allow you to share your maps with the others have no FreeMind. 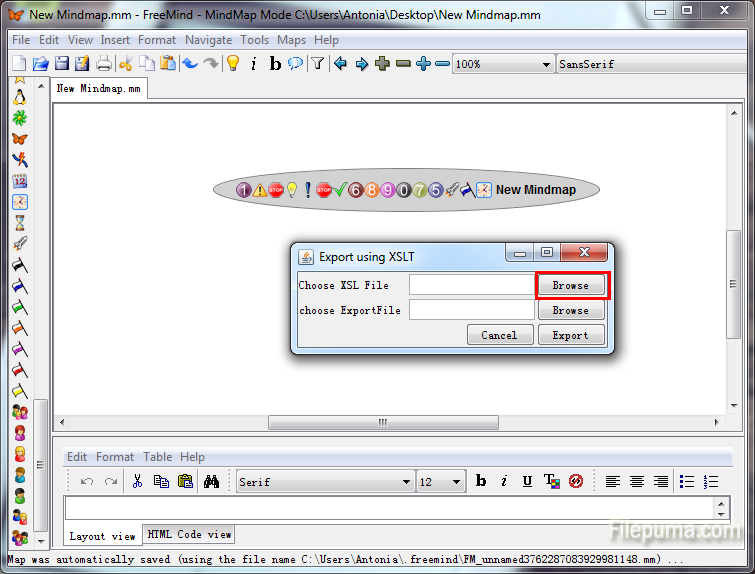 Here is an instruction to tell you how to transfer a FreeMind Mind map to a word document. 1. 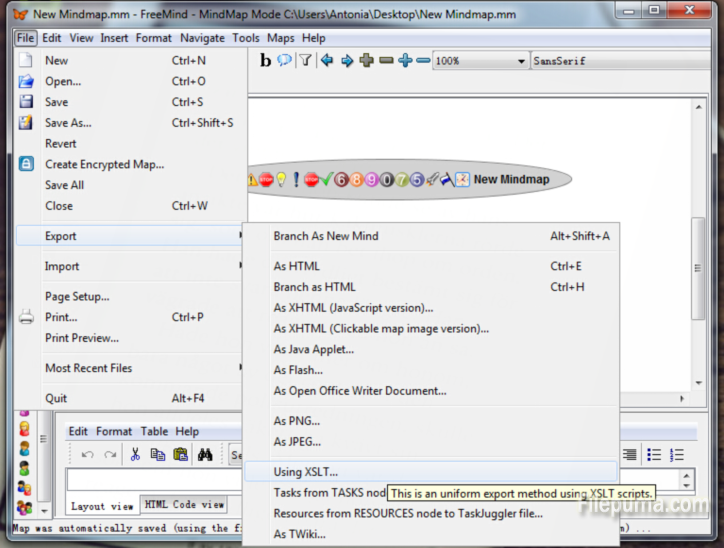 Open the map with FreeMind. 3. 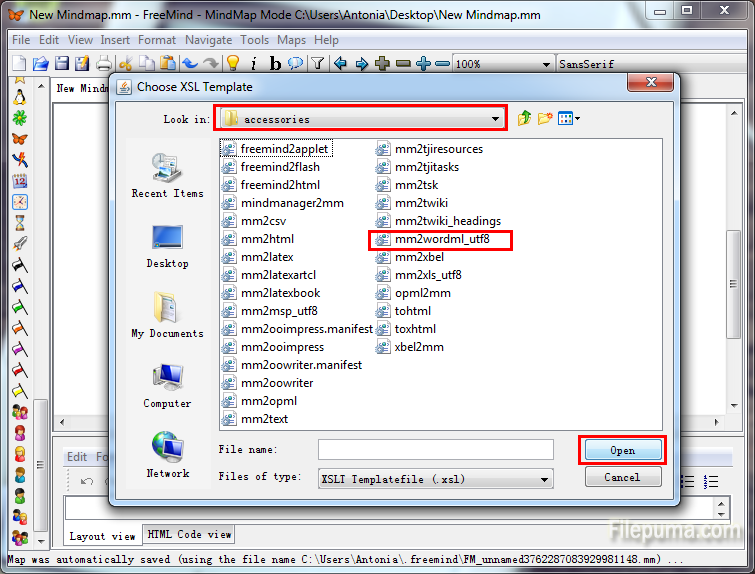 Open the XSL file labeled “mm2wordml_utf8.xsl.” from this path: /FreeMind/accessories. 4. Choose the destination and enter the name you want to save for this file. 5. Your FreeMind Mind map has been transferred to a word document.